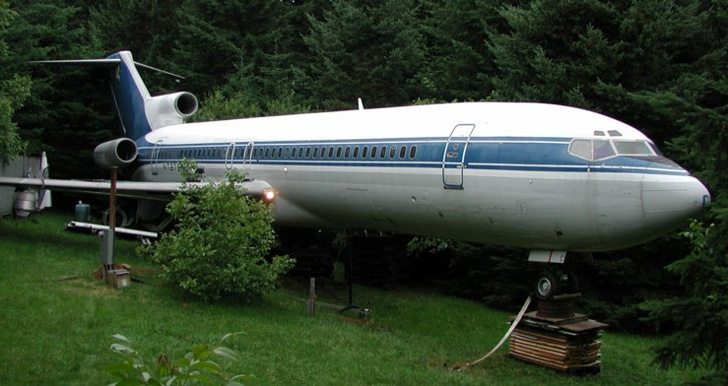 What looks like a jetliner that has miraculously landed in the woods is actually one man's dream retreat! 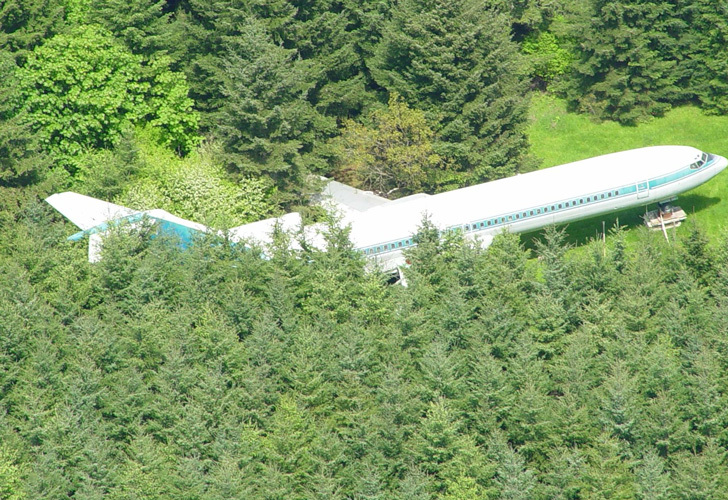 Inspired by his passion for the aircraft as well as the need for shelter, Oregonian <a href="http://airplanehome.com">Bruce Campbell</a> converted a Boeing 727-200 into a home. Campbell is not looking to be in <em>Better Homes and Gardens</em> - instead of <a href="https://inhabitat.com/photo-update-completed-747-house-made-of-an-old-plane-soars-to-new-heights/">turning the airplane into a full-fledged house</a> he has adapted his daily life to live onboard an airplane. 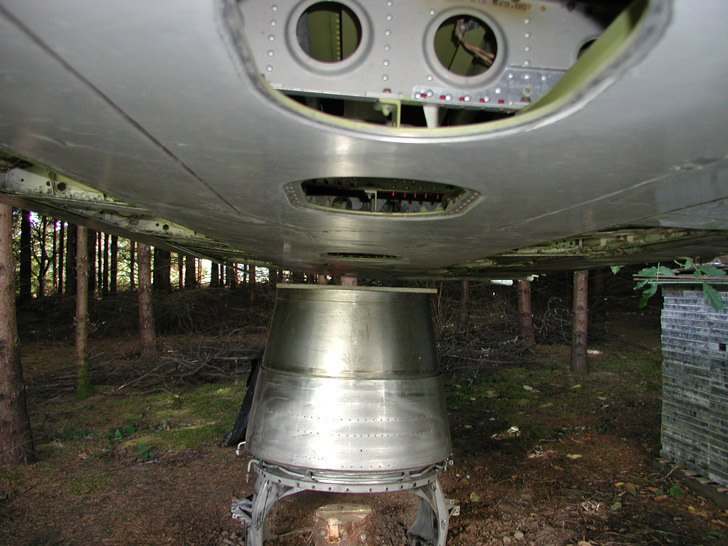 In a true labor of love, Cambell bought an entire decommissioned plane, took it apart, and reassembled it in a thicket of trees - making it seem almost as if the impossible happened. 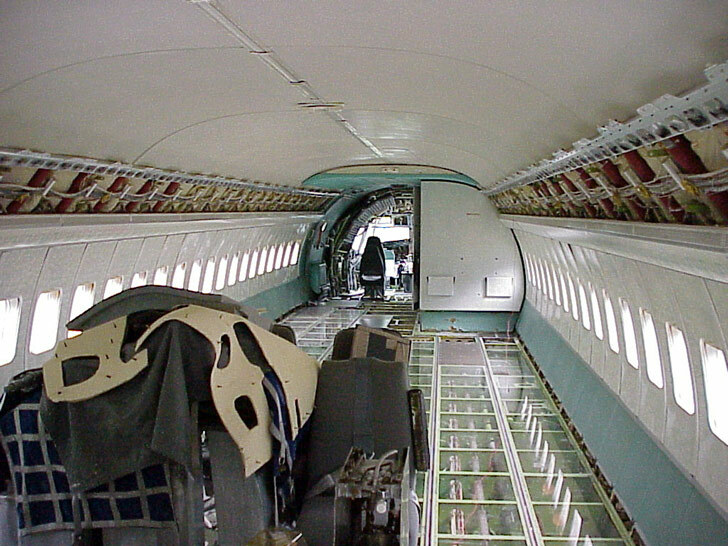 Rather than<a href="https://inhabitat.com/photo-update-completed-747-house-made-of-an-old-plane-soars-to-new-heights/"> turning the plane</a> into something like a modern house, Campbell is reusing much of the original equipment for his needs. He sees potential in everything -- like how the wings can serve as a great deck. This is anything but prefab building though - it's a slow and&nbsp;deliberate&nbsp;process. 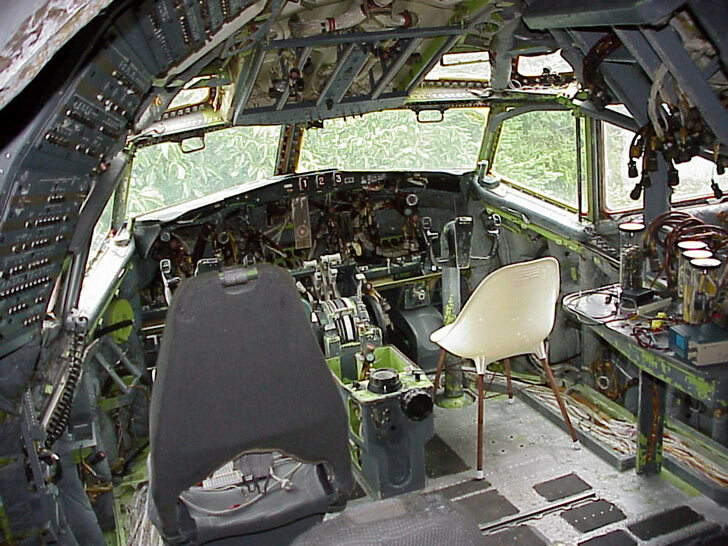 The cockpit is an excellent reading room, and he left much of the <a href="https://inhabitat.com/east-german-airplane-transformed-into-super-posh-hotel-suite/">original instrumentation</a> and controls intact. 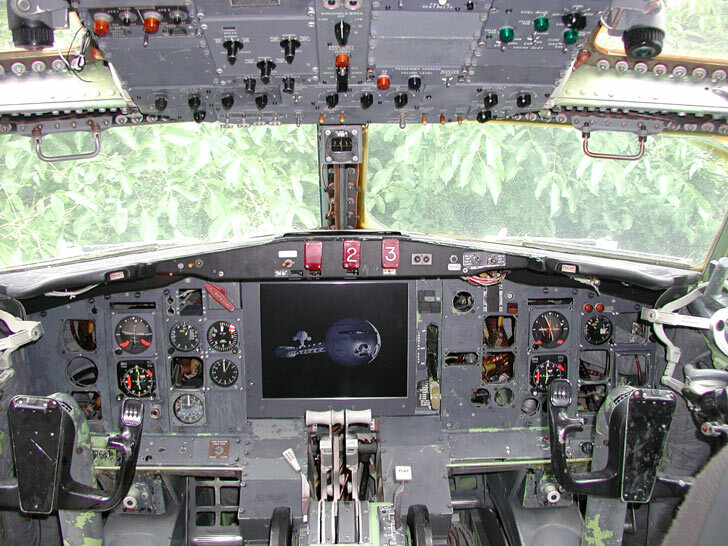 He even restored some elements, and he installed a computer monitor right in the middle of the instrument panel. He also got one of the original bathrooms back online, but only has a temporary shower for now. At 1,066 interior square feet, the space is cozy but not cramped by any means - when it's setup as a large studio it feels plenty big. The coolest trick may be the<a href="https://inhabitat.com/hernandez-silva-arquitectos-design-dizzying-bathroom-in-15th-floor-of-an-elevator-shaft/"> transparent floor</a>. 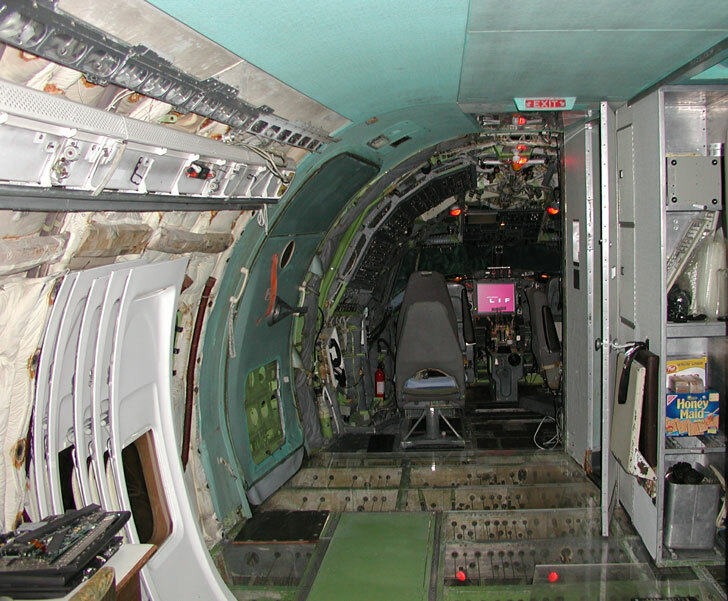 The original was torn out and replaced with translucent panels, allowing visitors to see the super structure’s ribs and controlling cables running from the cockpit to the wings and tail. 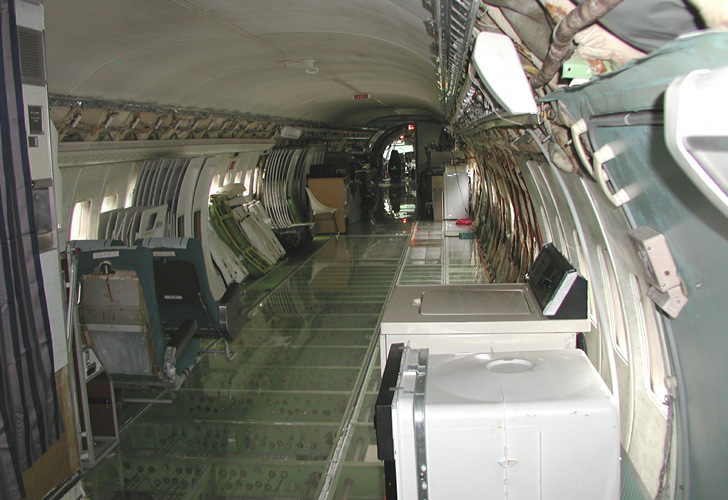 Campbell also has plenty of storage in the cargo hold. 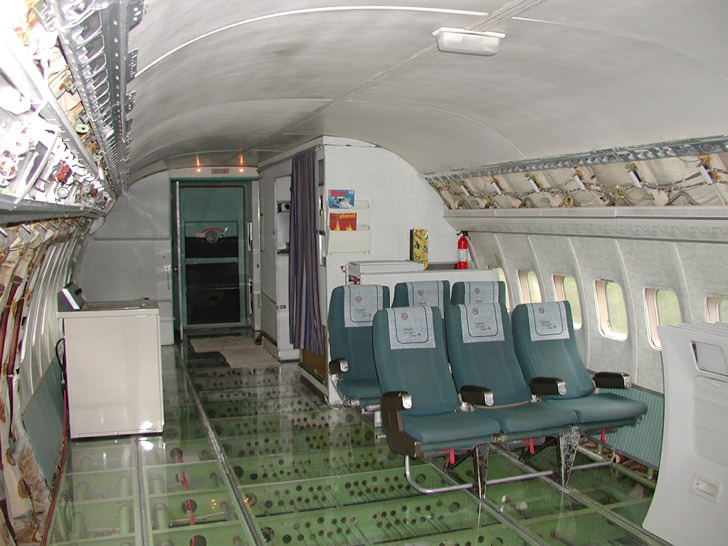 While the wings make a great deck, he has a couple of big covered areas below them as well. He even uses the original water tank and plumbing to serve amenities like his clothes washer. The trick is to make the space habitable but maintain the feel of its original design's purpose - to be 35,000 feet above the trees. 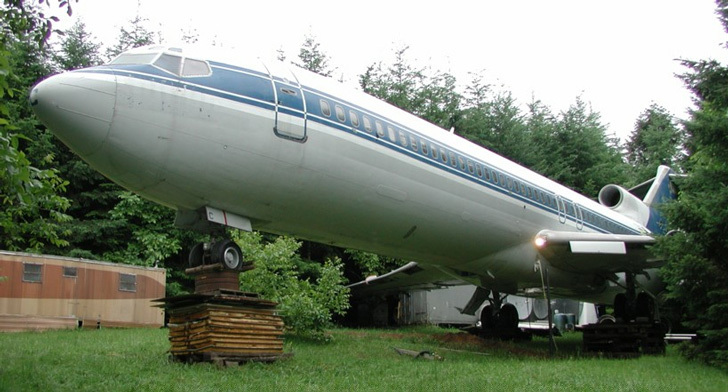 What looks like a jetliner that has miraculously landed in the woods is actually one man's dream retreat! 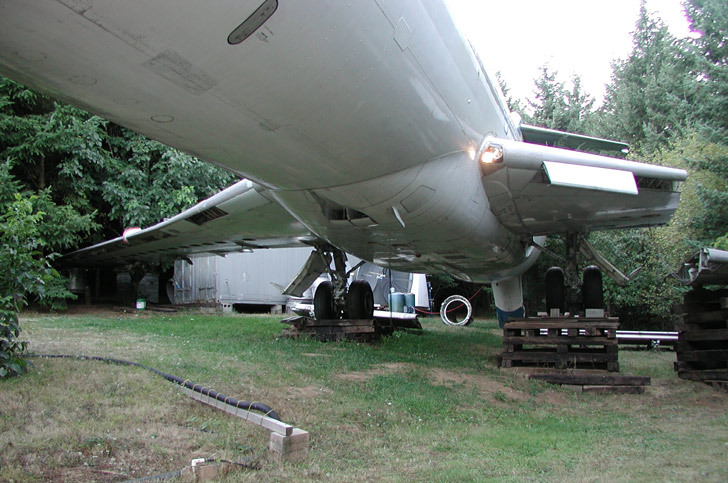 Inspired by his passion for the aircraft as well as the need for shelter, Oregonian Bruce Campbell converted a Boeing 727-200 into a home. 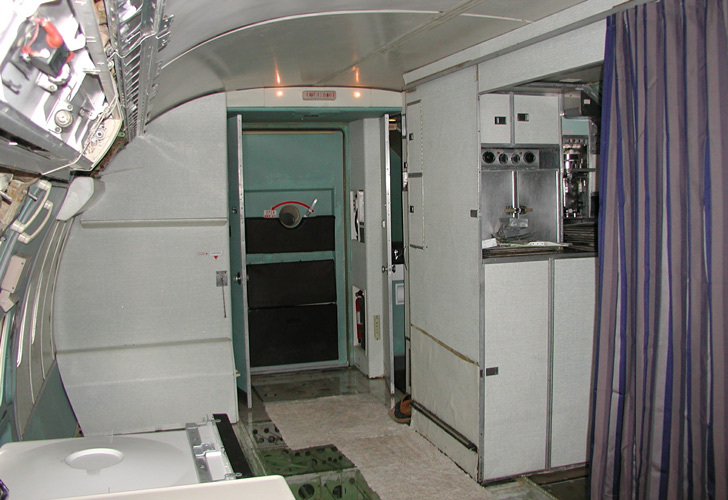 Campbell is not looking to be in Better Homes and Gardens - instead of turning the airplane into a full-fledged house he has adapted his daily life to live onboard an airplane. 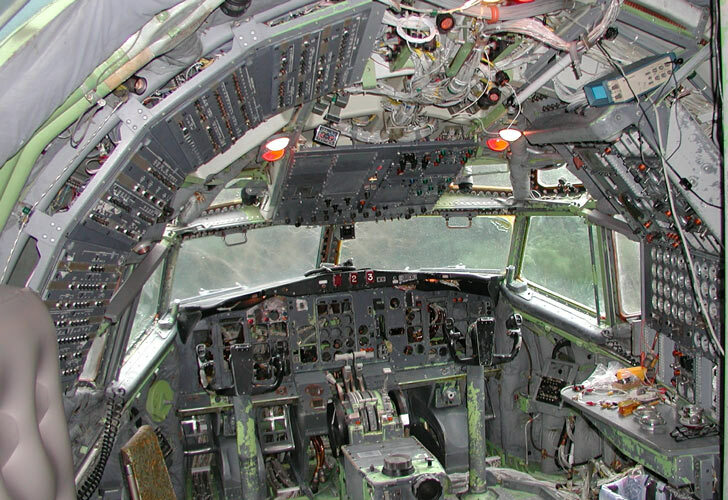 In a true labor of love, Cambell bought an entire decommissioned plane, took it apart, and reassembled it in a thicket of trees - making it seem almost as if the impossible happened.